This new 859 piece LEGO Pop-Up Book is at the top of my must-have LEGO list. This new for 2019 set comes complete with pieces to build two functional pop-up scenes from two different fairy tales. Little Red Riding Hood, and Jack and the Beanstalk associated minifigs are also included in this one of a kind LEGO set. 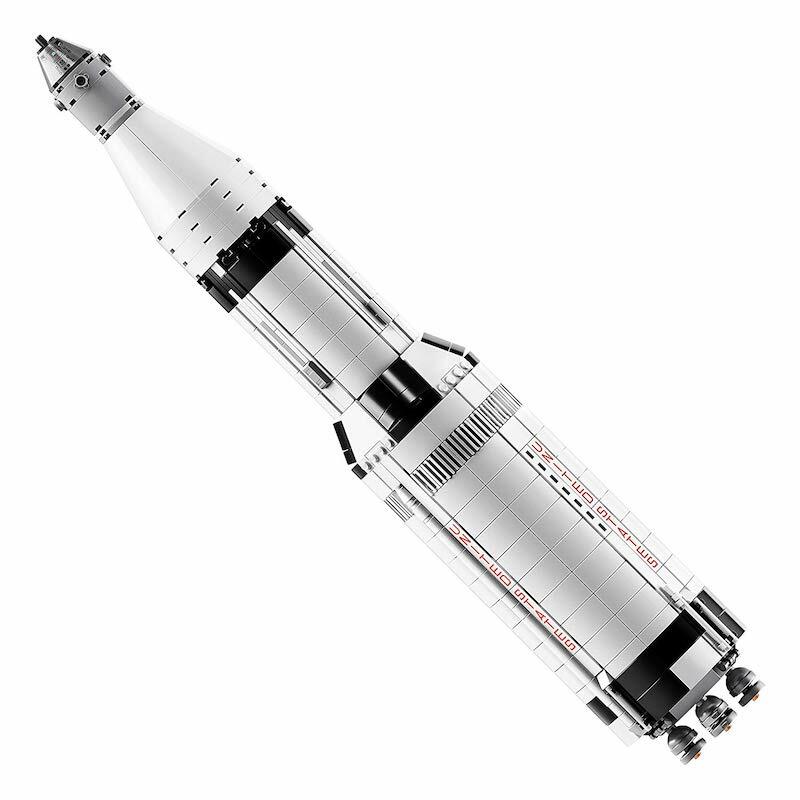 Holiday pricing on giant LEGO sets continues as the LEGO Apollo Saturn V Rocket goes on sale for $79. Cleverly this LEGO set comes with 1969 pieces. I bought it last year for $119, and do not regret a dime of it. 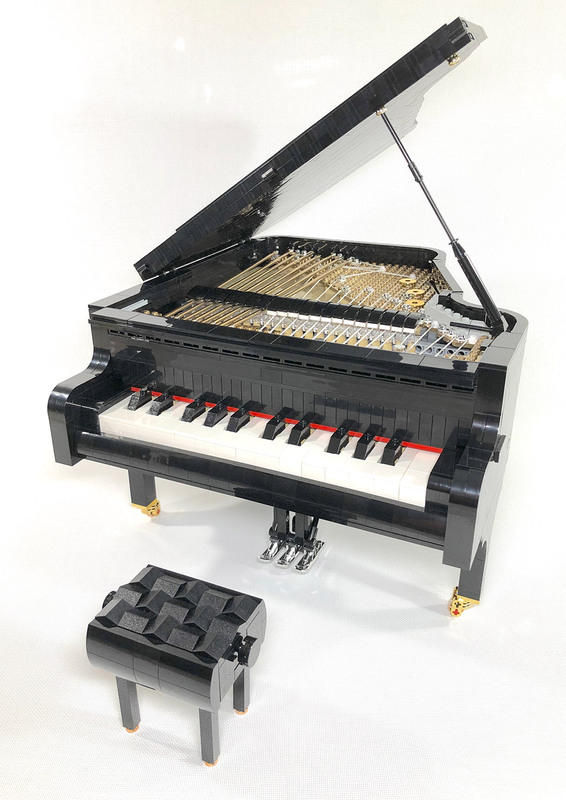 Prepare to be impressed: While it doesn't actually play music, this 2,798-piece miniature LEGO model of a concert grand piano does have 25 independently working keys, a removable keyboard, and a height-adjustable bench. It also has a working damper and pedal, a self-playing mode, a working piano lid, and more. LEGO master SleepyCow engineered it to contribute to LEGO Ideas in the hopes that it will be voted in to be mass produced as a retail kit. 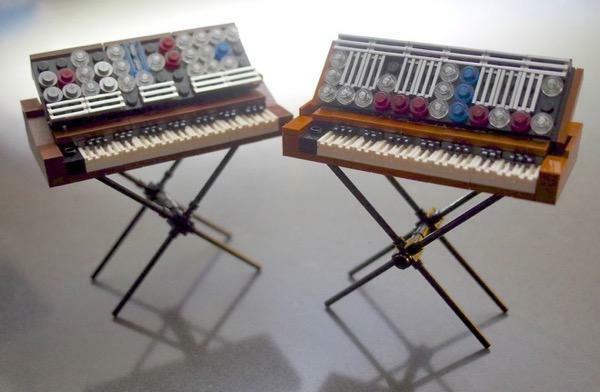 Ever since I started learning music, I have always wanted to build a piano out of LEGO bricks. I have also been asked many times by my students about the inner-workings of a piano. I think this will be a great set to teach students about piano mechanics. I've seen many people do it in different ways, but I decided to make my own version, as well as try to make it as similar to a real piano as possible with correct proportions. 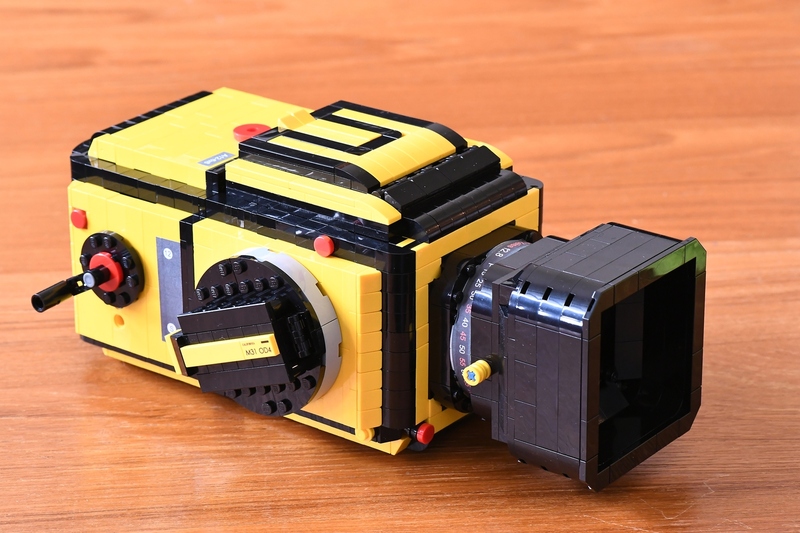 Photographer and designer Helen Sham of Taiwan has constructed a Hasselblad 503CX film camera with LEGO blocks. As if that wasn't impressive enough, it's functional. No, it doesn't take actual photos but watch this video to see what pieces move just like the real thing. I made this in about 2 hours, consisting of 1120 parts. It includes a mirror, a spring-loaded shutter button and a running counter had the camera have actual film. The build is an entry in LEGO Ideas contest, which means, with enough supporters, it could become a real product in the future. The project currently has 700 supporters and needs 10,000 to be considered for review by LEGO. 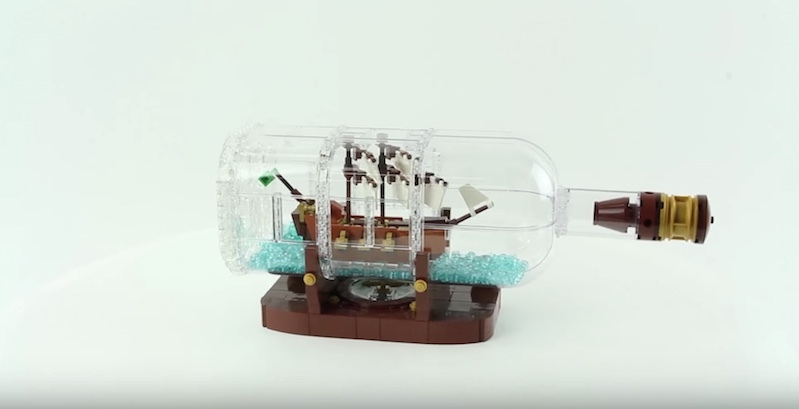 After completing a ship in a bottle kit, screenprinter Jake Sadovich of Garden City, Idaho decided to make a LEGO one. Soon after, he submitted his model to LEGO Ideas where it quickly gained the community support it needed to be reviewed to put it into production and sold around the globe. In an interview with LEGO Ideas, he was asked how he felt about getting the "magic 10,000 votes" from the community, "Awesome and kind of strange. Excitement at reaching the 10K mark, and in just 48 days! A great feeling of satisfaction that so many people liked my creation and gratitude that they took the time to support it and make this happen." The 962-piece Leviathan will hit stores on February 1 for $69.99. 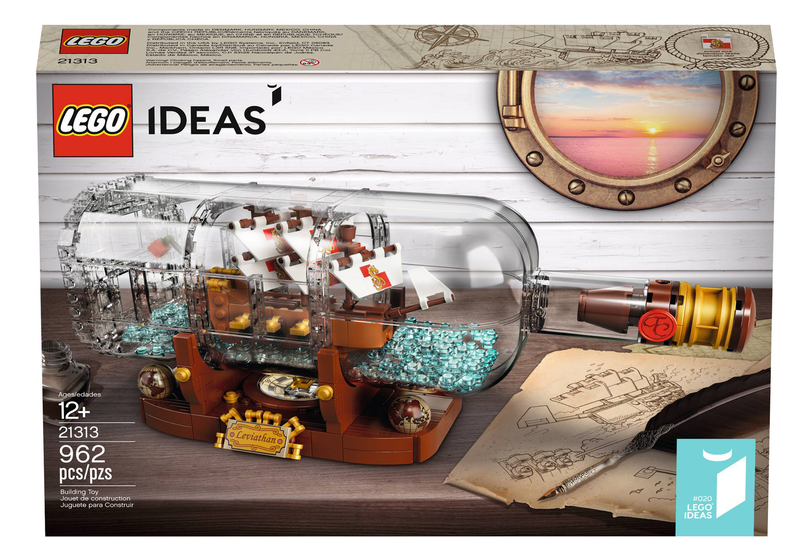 Continue a nautical tradition when you build this LEGO® Ideas 21313 Ship in a Bottle, featuring a highly detailed ship with the captain’s quarters, cannons, masts, crow’s nest, flag and printed sail elements. Place the ship inside the LEGO brick-built bottle with a buildable cork, wax seal element and water-style elements inside, then showcase it on the display stand featuring the ship’s ‘Leviathan’ nameplate, globe elements and a built-in ‘compass’ (non-functioning) with compass rose and spinning needle. 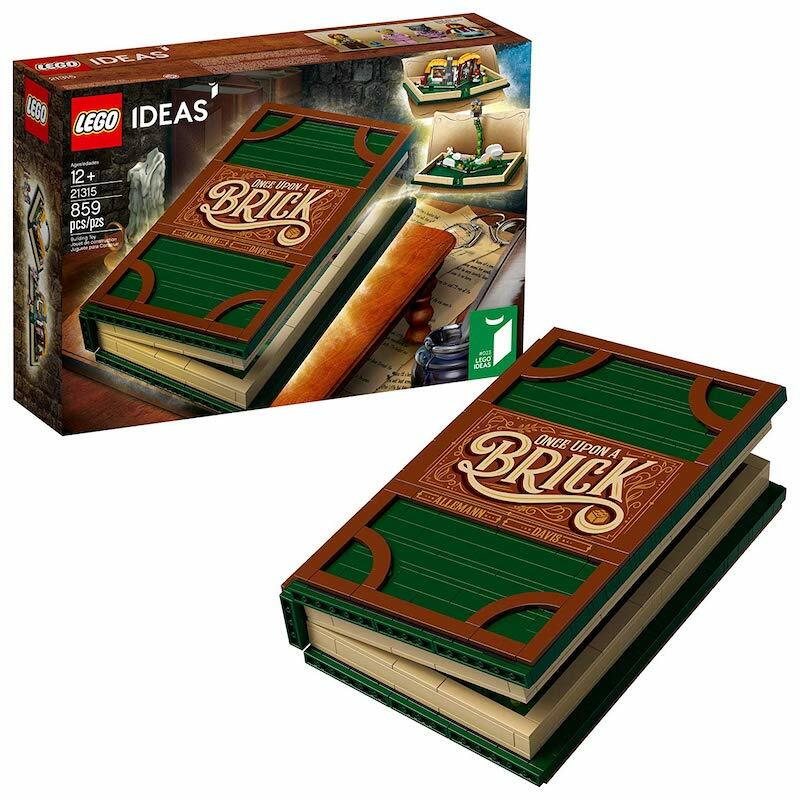 This wonderfully nostalgic construction toy also includes a booklet about the set’s fan creator and LEGO designers. Photos of Sadovich's original design can be seen at his Facebook page. 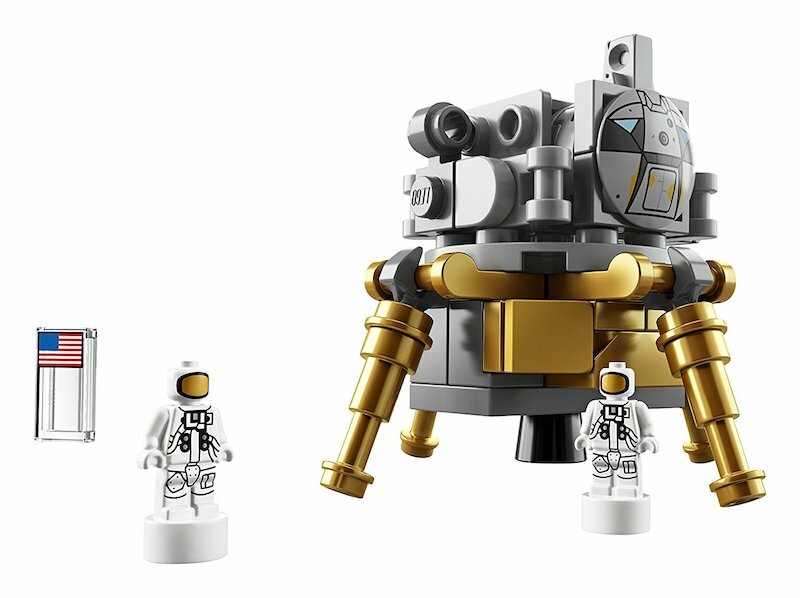 I have been waiting to find the LEGO Ideas NASA Apollo Saturn V 21309 Building Kit for list price. Amazon is selling it now. This fantastic 1969 piece set looks wonderful. I can not wait to build it with my daughter. I just ordered this fantastic LEGO Ideas set for my daughter. 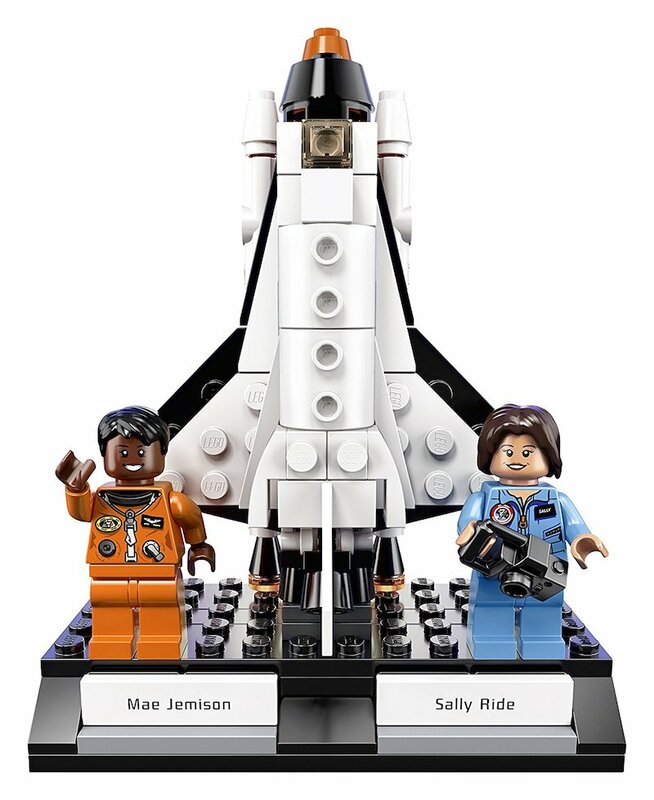 This LEGO set features four NASA pioneers, Nancy Grace Roman, Margaret Hamilton, Sally Ride and Mae Jemison, who've helped define the United States' space program. There are three builds, and the set is only $21! I will never forget Sally Ride's first mission to space. I was lucky enough to meet America's first woman and LGBT person in space during my time in college. 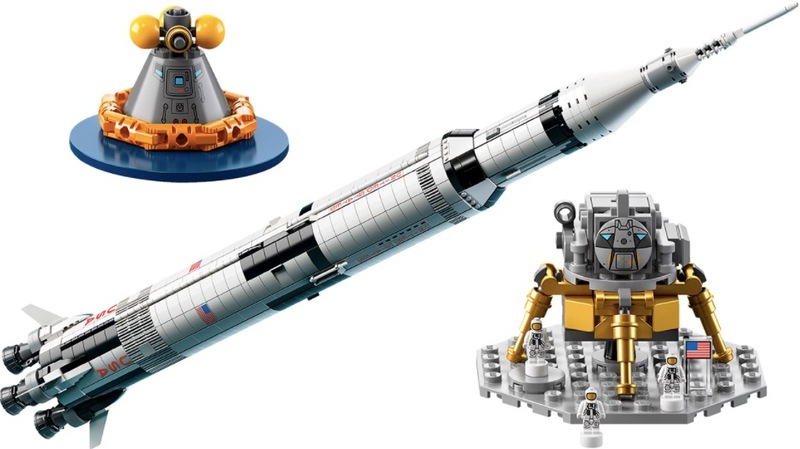 In April, Lego announced its fantastic new NASA Apollo Saturn V model rocket set. Based on a Lego Ideas submission by a builder named saabfun, it's a 1:110 scale model of the real thing. Of course the Saturn V was the workhorse rocket that took astronauts to the moon beginning in 1969 and delivered Skylab to orbit in 1973. 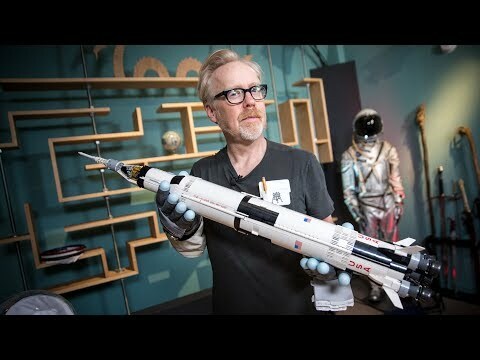 Watch space geek Adam Savage and his Tested colleagues tackle the assembly! Lego.com is out of stock but you can buy it from scalpers on Amazon here. Nancy Grace Roman, astronomer: One of the first female executives at NASA, Roman is known to many as the "Mother of Hubble" for her role in planning the Hubble Space Telescope. 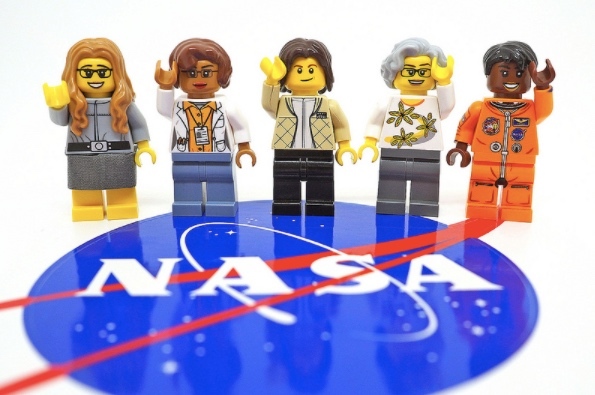 She also developed NASA's astronomy research program. Mae Jemison, astronaut, physician, and entrepreneur: Trained as a medical doctor, Jemison became the first African-American woman in space in 1992. After retiring from NASA, Jemison established a company that develops new technologies and encourages students in the sciences. As soon as Pesco posted this, I knew I had to have the minifigs, especially the nowhere man. 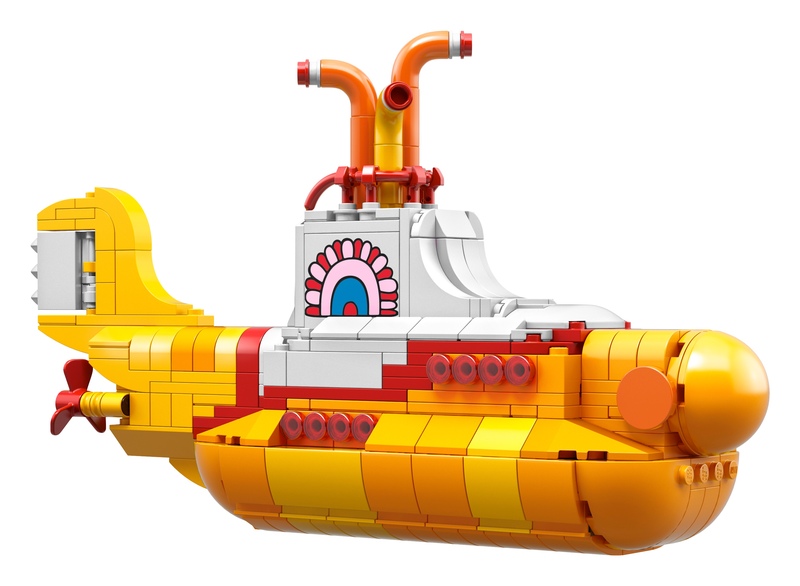 The LEGO Yellow submarine is now shipping! "As an amateur musician and songwriter, I have always been drawn to the music of The Beatles," Szeto wrote. "The creation of the Yellow Submarine model was really my way of showing my affection for The Beatles, as well as trying to pay a small tribute to The Beatles phenomenon. The Yellow Submarine is bright, fun, and colourful, which also made it a good subject to translate into LEGO form." Another detail of note is the accurate representation of the keyboard. Many piano and organ builds do not accurately reflect the pattern of black keys in alternating groupings of 2 and 3, but I found a way to achieve this with a combination of a could hinge elements oriented in different directions. 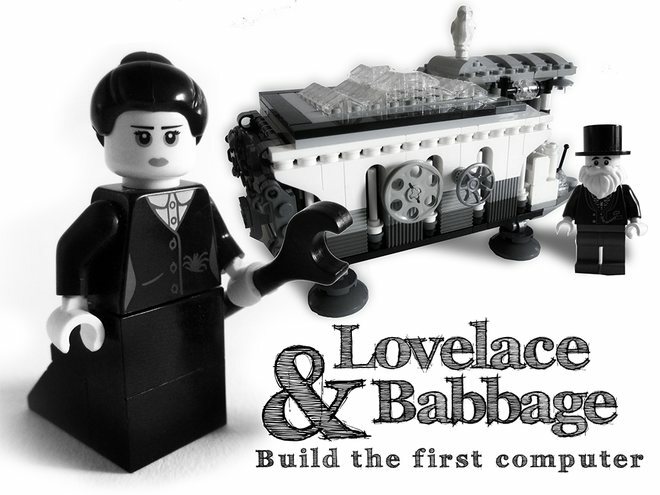 This delightful Lovelace & Babbage Analytical Engine is gathering support on LEGO Ideas (formerly CUUSOO) where the community can up-vote fan-made play sets into consideration for production. Featuring Lada Ada Lovelace and Charles Babbage, this set pays beautiful, Victorian tribute to their collaboration on the mechanical general-purpose computer of his design, including her pioneering work in creating the algorithm that would be used to program it. What's more, the lovely, monochromatic Analytical Engine model can be used to house a Raspberry Pi Linux computer. Swoon. 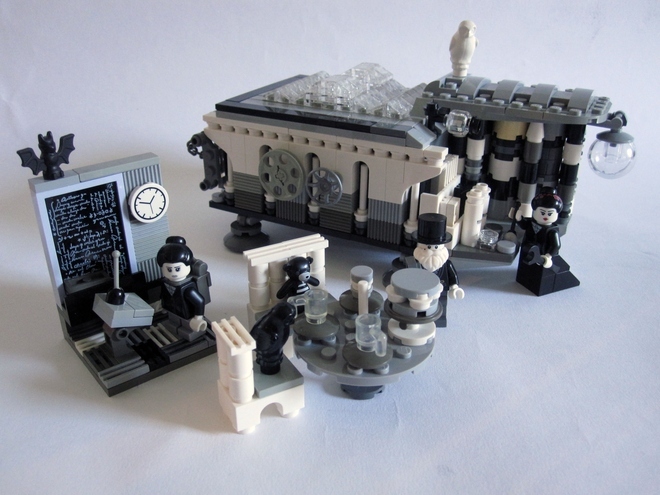 Creator Stewart Lamb Cromar also proposes two bonus sets, an "Ada Junior Classroom" and a "Babbage Tea Party". 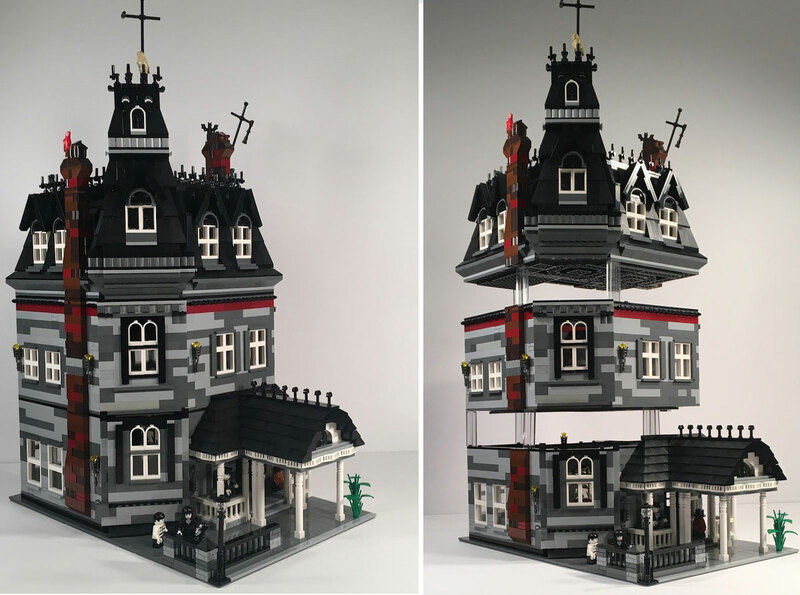 If you're interested in making this set a reality, please head to LEGO Ideas and support the project. Currently at around 3000 votes, they require 10,000 to be reviewed by LEGO for possible production. Golden Girls LEGO set may become a reality. Thanks, internet!